The Outcome Sets screen lists all preloaded National Outcome Sets and additional National, State, and Local Outcome Sets that have been added at the institutional level. 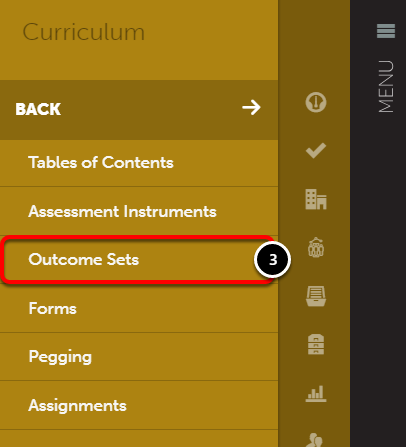 The Outcome Sets page enables you to search for a standard by name or by department. 4. Click on the Search Outcome Sets option to expand the search feature. 5. Search by Group (department) by clicking the Choose Group button. 6. Enter the full or partial Name of the standard. 7. Under the Archived Versions heading, select if you would like to exclude hidden Outcome Sets, include hidden Outcome Sets or display hidden Outcome Sets only. 9. 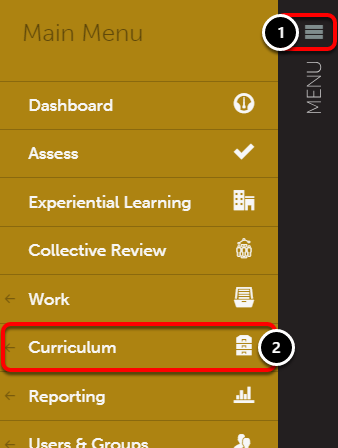 Use the Search bar at the top, right corner of the table to perform a search by the Outcome Set's full, or partial name.